Colonoscopy is the examination of the large intestine, which is carried out using a special device (an endoscope). A diagnostic procedure is carried out for suspected cancers, hidden intestinal bleeding, inflammatory processes in the colon. Colonoscopy is performed after a special preparation of the patient. A list of preparatory activities includes following a special diet for a few days prior to the examination and cleansing of the intestines from gas and stool. Bowel cleansing before colonoscopy is performed with the use of enemas and prescription drugs. Preparations for colonoscopy preparation is prescribed based on the individual characteristics of each patient. So, in order to properly prepare for the study, it is necessary to normalize the diet. Diet should not include foods that can cause fermentation in the stomach and intestines, as well as to increased gas. Picoprep is a laxative containing as active ingredient Picosulfate sodium, Magnesium oxide and Citric acid. The preparation is an effervescent powder for internal use, from which is prepared the solution. The drug belongs to a saline laxative and works in the large intestine, not being absorbed into the systemic circulation. Picoprep not intended for the treatment of constipation and regular use. The medicine is prescribed before performing diagnostic procedures, including, in order to cleanse the bowel before a colonoscopy. The tool is not applied to children under 9 years of age, and in the first trimester of pregnancy. The prohibition of the use in pregnant women is associated with the fact that Picoprep greatly stimulates peristalsis. Moviprep – medication with a mild laxative effect that causes moderate diarrhea. Moviprep comes in the form of two kinds of sachets with different composition. In A sachet contains Sodium chloride and Sodium sulfate, Potassium chloride, Macrogol 3350. These substances increase the volume of feces, which contributes to the development of purgative effect. In a sachet B contains Sodium ascorbate and Ascorbic acid. Electrolytes and acids prevent the development of electrolyte imbalance. 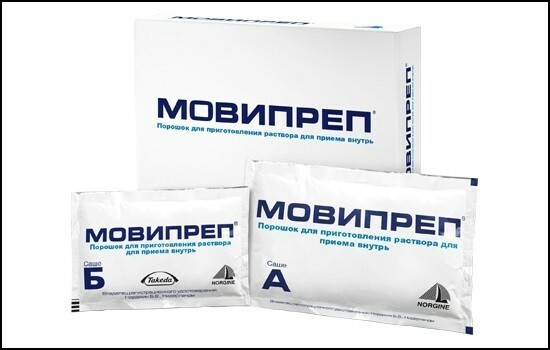 Moviprep used for preparation of diagnostic procedures (x-ray, colonoscopy). The use of funds in the period of carrying a child and lactation is limited, but under the supervision of a physician possible. READ How often can do colonoscopy for prevention? Forlax is a laxative containing Macrogol 4000. Substance absorbs liquid in the intestines, which leads to increased stool bulk. This effect provides the laxative effect of the drug Forlax. The drug is manufactured in powder form for internal use in pediatric dosage form and in the form of medicines for adults. In the instructions for use Forlack missing information on the application of tools for colonoscopy. However, this practice exists, especially in Pediatrics. Forlax approved for use in children from 6 months. Fortrans – contains Macrogol 4000 and salt components. Quite a popular medication for bowel cleansing before performing colonoscopy. Pack of Fortrans contains four pack. The drug is dosed depending on the patient’s body mass. For every 20 kg of body weight use one package of the drug diluted in a liter of water. That is, a person weighing 80 kg to cleanse the bowel needs to use a four pack diluted in four liters of water. Powder is preparing a solution for internal use. The tool is designed to prepare the patient for research or surgery. Duphalac – syrup from laxative effects. As the active substance contains Lactose. Used for emptying of the colon with constipation. Can be used to prepare the intestinal lumen to the study of endoscopic methods. Application diagram in each case is determined by a physician. 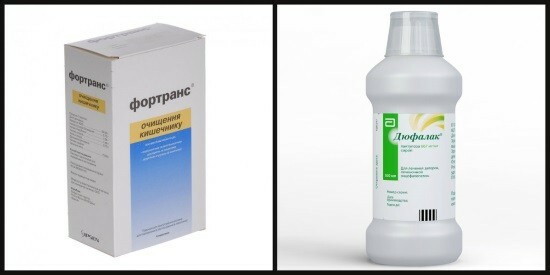 Duphalac significant advantage is the possibility of its use in pregnant and lactating women. Espumizan – carminative containing Simethicone. The drug is available in form of emulsion for oral administration, drops and capsules. Espumisan is used to reduce intestinal gas production. This property of the drug is very useful for bowel preparation for procedures, as intestinal gases are a nuisance to quality of diagnosis. Drops administered for three to five days before the colonoscopy. 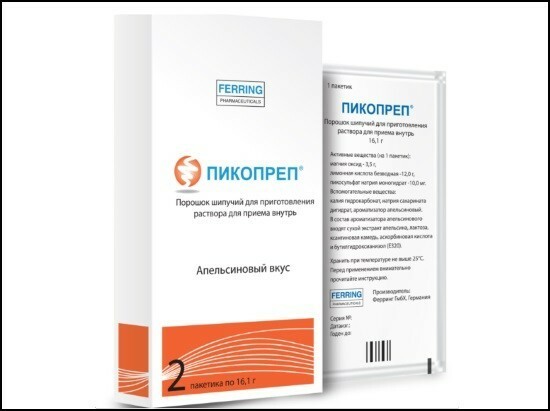 The drug is approved for use during pregnancy and while nursing his chest. DINRAC – combination drug containing a combination of two active substances: Lactose and Simethicone. The drug has a laxative and carminative effect. Tinalak used in adults and children from the first year of life. The drug has no direct indications for the purpose of cleaning the intestine, but practically it is used to eliminate flatulence and as a mild laxative. Microlax is a laxative in the form of microclysters, which contains a combination of active substances. Microlax is used for bowel cleansing before endoscopic studies. However, as the primary means to prepare for a colonoscopy Microlax use impractical. The drug can be used in combination with purgative medicines to enhance the cleaning effect. The efficacy of these agents depends on pharmacological compliance, i.e. cooperation between doctor and patient. In this case, compliance or cooperation, means the interest in successful treatment between the two parties. One party is a doctor, another the patient and his relatives. The result of this interaction, the therapeutic effect is achieved in the shortest possible time. What is the essence of compliance between doctor and patient? In this case, the essence lies in the accurate implementation of medical recommendations. Cleansing of the colon in each case has its own characteristics. And the more closely the patient is following recommendations of a doctor, the better the bowel prep for colonoscopy. The result of the interaction – the most accurate diagnosis. The condition of the intestinal mucosa: the presence of erosions, ulcers, bleeding, inflammation. Tumors and changes in the structure of fabrics: polyps, tumors, diverticula, fractures and foreign bodies. The diameter of the intestinal lumen, the presence of scars. READ MRI during menses: is it possible to do? 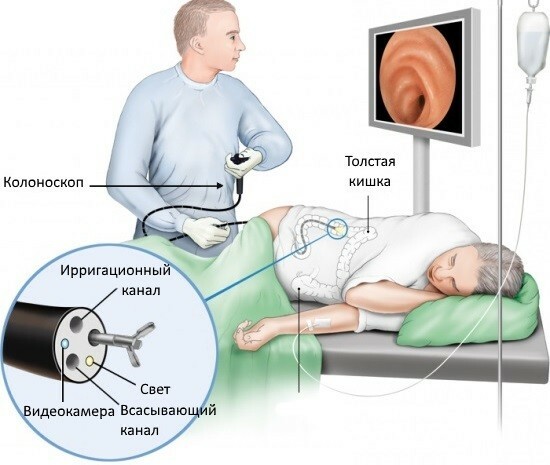 In addition, during the colonoscopy, you can take snapshots of the intestine, to expand the lumen of the intestine, to coagulate vessels in the small intestinal bleeding – to take tissue samples for histological diagnosis and to remove small tumors. If the bowels are not sufficiently well prepared, the above data to fail and the procedure must be repeated.